The second original graphic novel set in the critically-acclaimed Lumberjanes world! While adventuring in the woods, Jo, Mal, Molly, April, and Ripley discover the hiding place of a group of magical creatures called Pookas and they think they’ve found new friends. But what they don’t know is that the Pookas are tired of hiding, and they’ve found the perfect way to join the outside world…by impersonating the Lumberjanes themselves and taking over Camp! To reclaim their identities, the ’Janes will have to work together to remember who they really are…and to help another group of friends accept themselves, too, in a story about looking inside yourself and learning to love who you meet there. 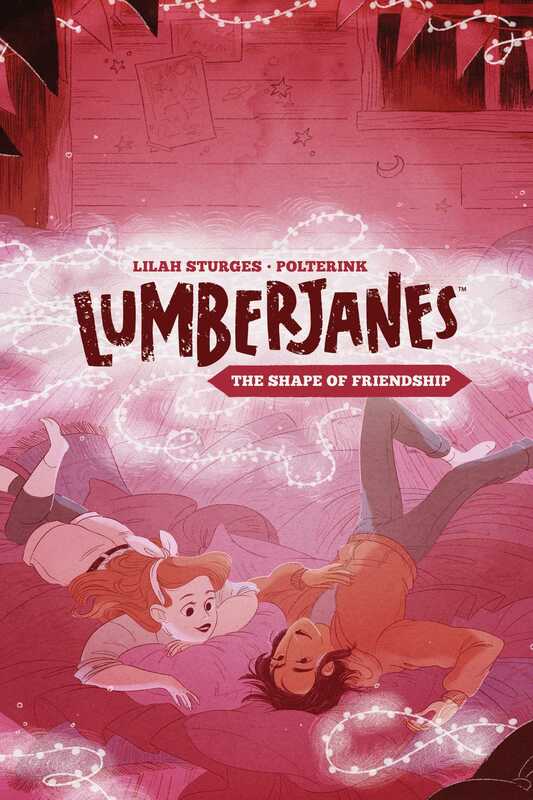 Based on the New York Times bestseller and multiple Eisner Award and GLAAD Award-winning series, Lumberjanes: Shape of Friendship is written by New York Times best-selling author Lilah Sturges (The Magicians: Alice's Story, Jack of Fables) and illustrated by polterink (Lumberjanes: The Infernal Compass).